Citizens were asked to submit nominations for the 2014 Scare Me Shitless Awards (The Scary's). 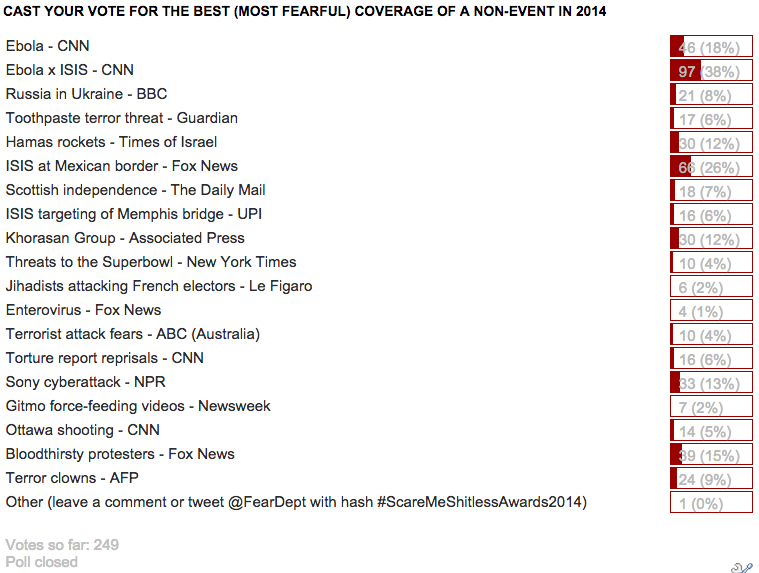 The award recognizes media organizations that have gone the extra mile to create fear out of non-events. You are invited to vote for whatever non-event and media organization you consider most deserving of a Scary Award. You may vote for more than one nominee. To view descriptions of the nominees scroll down or click here.